Jeans, rainy weekends and Halloween planning means Autumn has arrived. As sad as this makes me and as much as I am going to miss my bikini, I am also looking forward to days spent under the duvet, hot chocolate, soups, and of course: pumpkin! Pumpkin soup, roast pumpkin, pumpkin cake – it is all so very exciting 🙂 And since sharing is caring, you can find below a delicious autumn recipe to whip up when the weather is too miserable to be outside! Sprinkle pumpkin with allspice and roast for about 1 hour in a preheated oven, wrapped in alum. foil. Let it cool, then blitz the flesh in a food processor until it forms a smooth puree. Preheat oven to 180 degrees Celsius. Mix the pumpkin puree in the bowl of a stand mixer with eggs, oil and vanilla until light and fluffy. Whisk dry ingredients together in a large mixing bowl and make a well. Add wet ingredients and and mix gently. 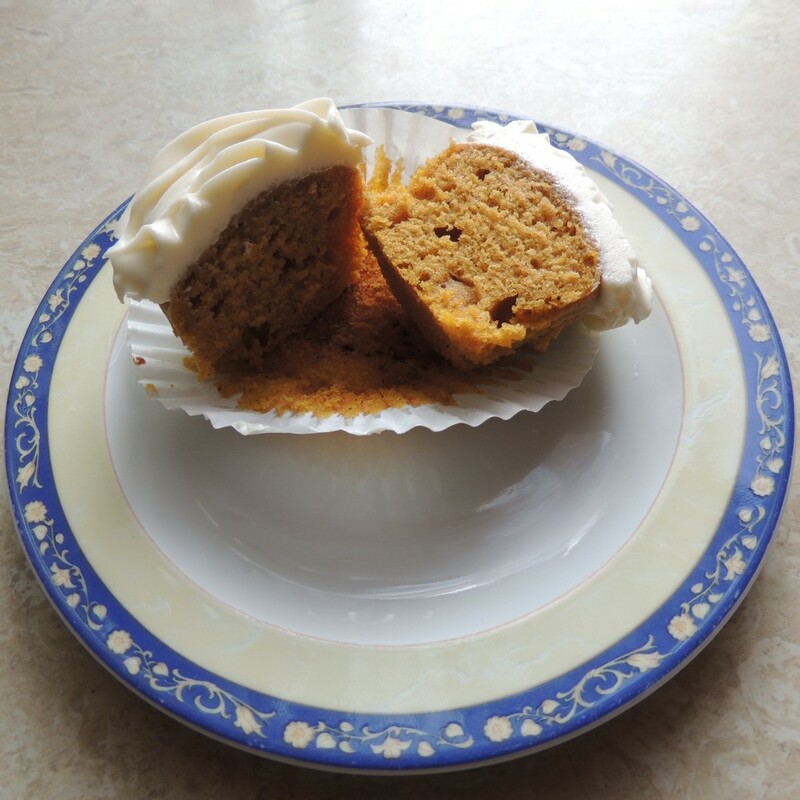 Scoop in a lined cupcake tin until 2/3 full, then bake for 18-20 minutes or until a toothpick comes out clean. While cakes are in the oven, you can prepare the frosting. Mix the butter and cream cheese for a few minutes in the bowl of a stand mixer, or with a hand one, until it’s all well incorporated. Add the sifted sugar in 2 batches, mixing really well between additions. Add a few spoons of milk if it’s too stiff to pipe – this will loosen it up. 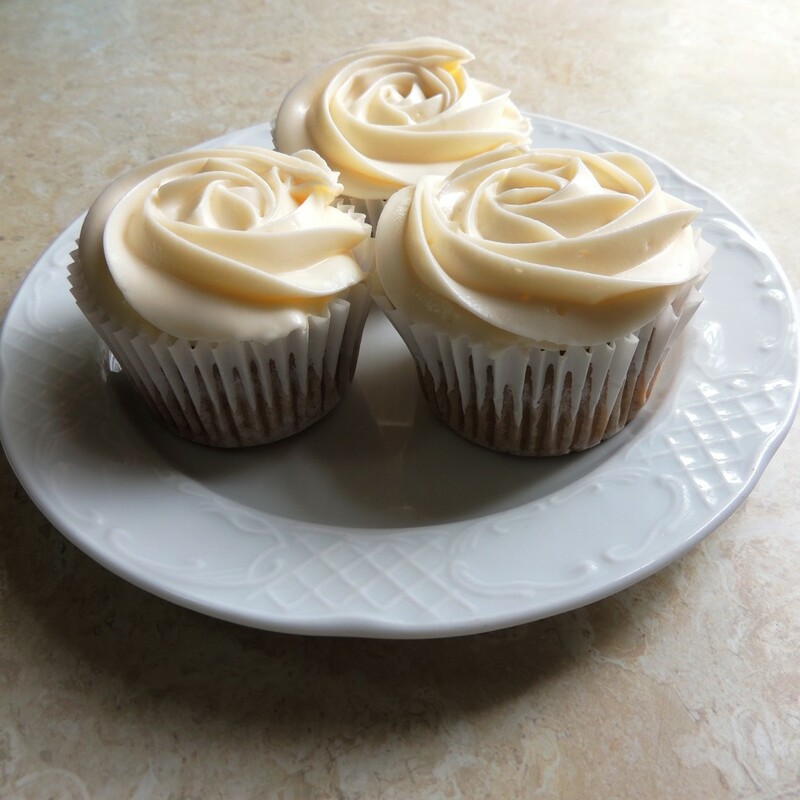 Frost cupcakes in any way you like and enjoy with a hot cup of coffee or tea! ← Your chance to be a Cake King / Queen! Nadia made a few of these to our office Halloween celebrations, with “spooky” decorations. Let me tell you: they looked very good but they tasted even better!!! Keep doing what you’re doing Nadia, you are making the world a bit sweeter and we love it.